One cannot deny the immense popularity of Dana White in the MMA community and business world. Dana has millions of fans around the world; he has been invited to speak at Oxford University in England, Harvard University and at Bill Gates yearly conference of the world’s 200 most noteworthy individuals. Dana has made himself a multimillionaire before the age of forty, and has received many awards since taking over as President of the UFC, but who is this individual. Who is Dana White? What is known about Dana White outside of what he tells the media about himself? 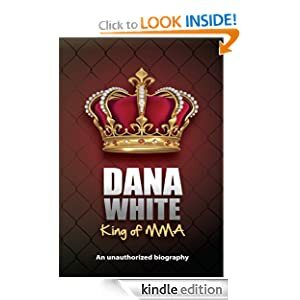 This is a biography of Dana White, no myths, no lies, no tales, nothing but the truth about the boy, the man, the king, the dictator.